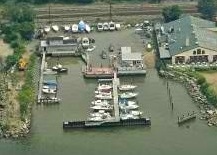 At the southernmost river village of Hastings-on-Hudson, in addition to the relatively new Kinnally Cove, which offers river access for non-motorized watercraft, there is Tower Ridge Yacht Club. This private club, adjacent to the Harvest-on-Hudson Restaurant, has room for about 20 boats, in a protected marina setting. 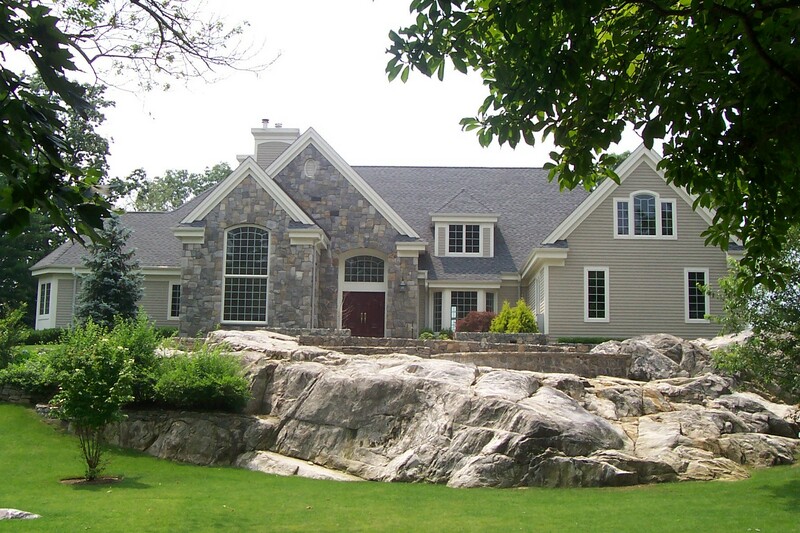 They can be reached at 914-478-9729 for any questions about membership opportunities. At the moment, the village of Dobbs Ferry has no boat club or marina of its own, making it unique in the Rivertowns. Residents do occasionally launch kayaks from the small cove area between Willow Point and Waterfront Park. Dobbs Ferry does however have pending plans, to build a combination fishing pier and boat dock, as part of its waterfront shoreline stabilization project, to accommodate up to 7 local boats and the village police boat. The only truly public and free launch ramp in the five river villages is located in Irvington, in Scenic Hudson Park, located at the south end of the waterfront, limited to non-motorized craft. Irvington also offers some riverfront access, for village residents only, in Matthiessen Park and there are future plans for additional kayak storage there as well. 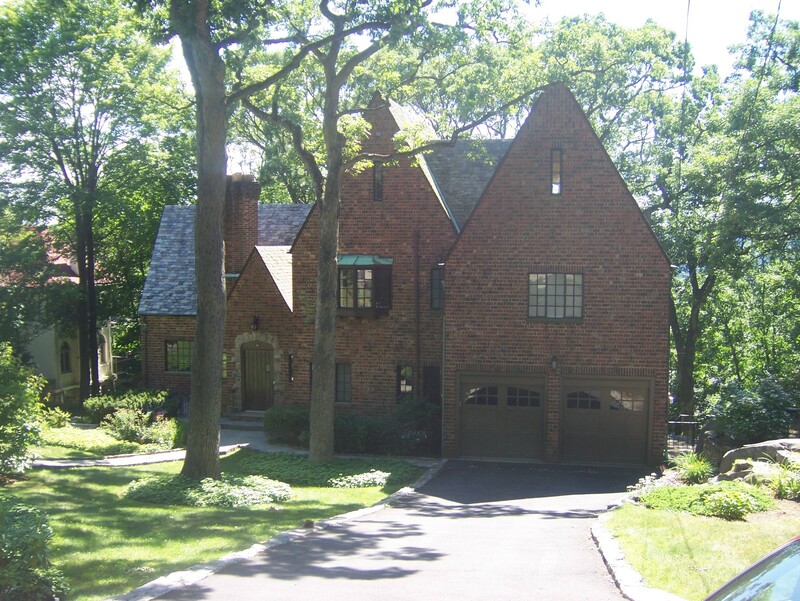 Just adjacent to this location you will also find the home of the small and private Irvington Boat Club, which boasts kayak racks, a small beach and room for about 30 power or sailboats on moorings out in the Hudson River. The annual fees at this club average $725 – $1,100 for the typical boat owner. This fee includes both club membership and any boat storage fees. They can be reached at 914-591-6801. In the village of Tarrytown you will find two boat clubs; The Tarrytown Boat Club essentially a full service marina, which has slip fees on the order of $75 – $105 per foot of boat length, as well as a mandatory club membership fee of $250. This club offers probably the most protection you will find in any of the river villages, from the unpredictability of wind and waves, for your watercraft and it also offers the only fuel dock in the Rivertowns, for both gas and diesel. 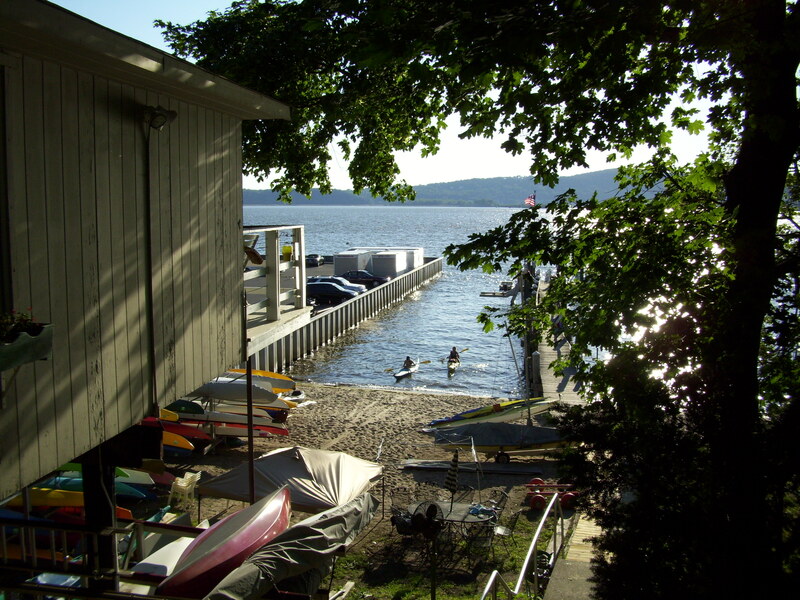 There is also the Washington Irving Boat Club a club and marina located at the southern end of the Tarrytown waterfront. WIBC has fees of approx $65 per foot for dock space, up to 30′, plus a mandatory $200 club membership fee. This location has both working and non-working members. Like most of the clubs listed here and at most other Hudson River clubs, working members contribute of their time and expertise to the running of the facility and at WIBC they also receive a discount on their dock fees and winter storage fees, as reimbursement for their efforts. WIBC also has a public launch ramp, for a nominal fee of $25 per day for trailer boats. Finally, Sleepy Hollow has the private Philipse Manor Beach Club. This club has a small marina protected behind a breakwater. Slip fees average $1,895 per season for up to a 28′ boat. They also have kayak racks and a swimming beach with lifeguards. There is currently a waiting list at Philipse Manor Beach Club, but reportedly spaces can come up quickly. As they say, they’re not making any more waterfront land, so the best time to approach any of these facilities, when looking for a place to moor your craft, large or small, is as early in the season as possible. Depending on how soon Spring comes and the state of the economy at the time, some of these places tend to fill up fast and previous members generally have first priority. The remaining spaces tend to be in limited supply.